After you create your purchase orders with Kinetic Inventory Management, you can easily receive and check in your orders when they arrive at your warehouse. The process of checking in your inventory is a very simple and straightforword process that works just as easily as creating your purchase orders. We'll use the purchase order that we just created in the previous article to show how this process works. After reviewing and/or adjusting the 'Received' quantities on the Receive Purchase Orders page, all you need to do is double click on the 'Receive' button and the system will automatically check in the items shown and update the quantitiy of each item in the database for you. This article describes the best-case scenario when all of your merchandise arrives at the same time and the entire order is filled completely. The next article describes how you can use the Kinetic Inventory Management system to receive purchase orders that are either incomplete or contain items that are discontinued or no longer available. 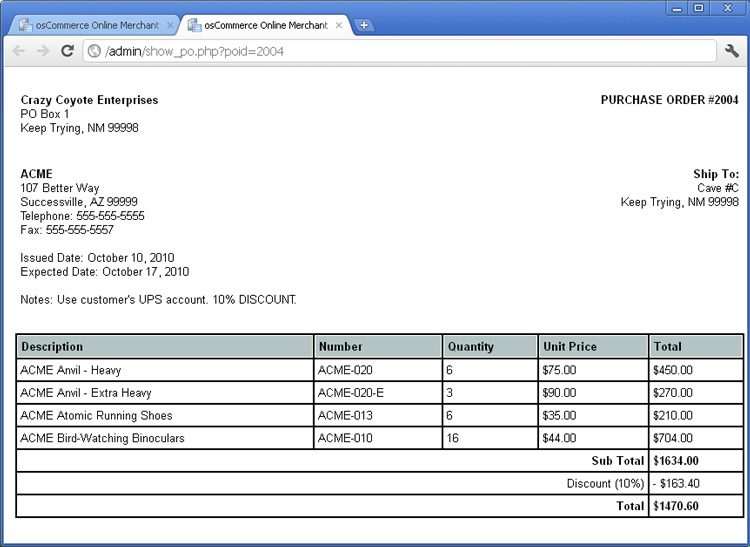 Here is the final screen shot showing Purchase Order #2004 completely received. The status of all purchase orders are color coded to identify whether they are pending, completely received, or partially fulfilled. 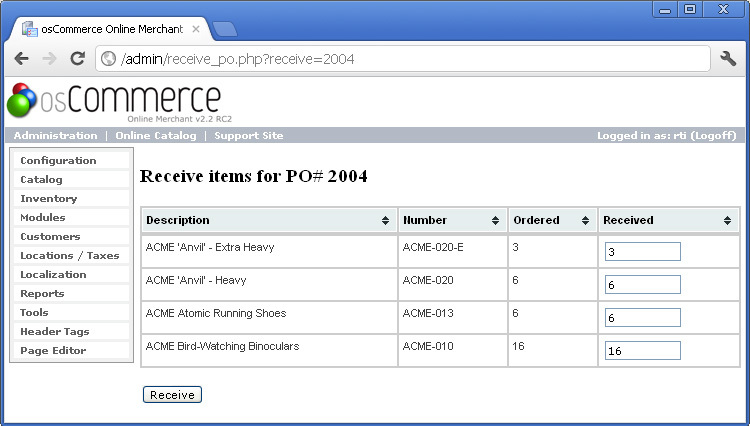 The next article shows how you can handle partially filled purchase orders and manage back-ordered items.